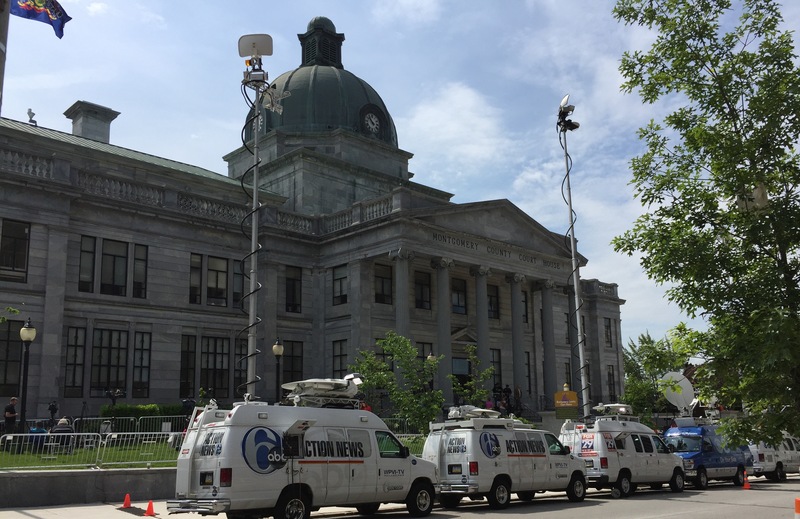 The preliminary hearing in the Bill Cosby case is underway this morning in the Montgomery County Court of Common Pleas. This is the first proceeding in which the prosecution will need to present some evidence to support the felony charges of aggravated indecent assault against Cosby. Cosby is charged with three counts of aggravated indecent assault based upon allegations that he sexually assaulted his accuser, Andrea Constand, in 2004 at his Montgomery County home. What to Expect from a Preliminary Hearing in Montgomery County? At a preliminary hearing, the prosecution must present evidence of each material element of the crime charged, and must establish sufficient probable cause to warrant a belief that the accused committed the crime. If the judge determines that the prosecution has met their burden in this regard, then the case will proceed in the Court of Common Pleas where it will eventually be scheduled for trial. Otherwise, the judge could dismiss any or all charges for which there was insufficient evidence. In making this determination, the judge is required to view the evidence and testimony presented in a light most favorable to the Commonwealth, and must draw all reasonable inferences from that evidence in favor of the Commonwealth. Under Pennsylvania law, the credibility of the prosecution’s witnesses is not to be considered by the the judge at a preliminary hearing. That means that Cosby’s lawyers would not be permitted to question his accuser regarding the apparent inconsistencies in her story throughout the years and any other “baggage” she may have. However, Cosby’s defense team might not have the opportunity to question his accuser at all. In a recent 2015 opinion, which the author of this post thinks was wrongly decided, the Pennsylvania Superior Court held that the government is permitted to establish its case at the preliminary hearing based upon hearsay testimony alone, and that the accused does not have a Constitutional right to cross examine his or her accuser at the preliminary hearing. Commonwealth v. Ricker, 120 A.3d 349 (Pa. Super. 2015). That means that the Cosby case could be held for further proceedings based upon only the testimony of police officers as to what Constand told them, without Constand taking the witness stand. Note: the Ricker case is presently on appeal in the PA Supreme Court.